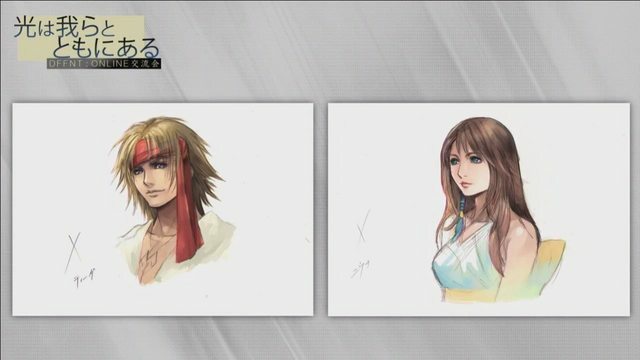 11 years ago, I wrote an epic "What if Yuna had chosen the Final Summoning?" FFX AU saga. It was fairly well-received on LJ in days of yore. This year, I'm reposting as a weekly serial on my DW blog. All chapters have been edited, pruned, and illustrated, either with fanart that readers have submitted over the years, or with my own drawings. New chapters posted Friday afternoon or evening. Characters: Isaaru, Maroda, Pacce, Auron/Lulu. Later chapters: Lucil/Elma, the Crimson Squad, Cid, Yuna's surviving guardians. Rating: PG-13 for battle sequences and one later chapter's fade to black. Word Count: 100K; weekly chapters are 2000-3000 words. Summary: [AU] 13 years after Yuna falls in the Final Summoning, a Cult of Sin has arisen, Isaaru must resume his pilgrimage, and Auron must try once again to kill a friend before his time runs out. They'll need all the help they can get from the Crusaders, the Al Bhed, Yuna's surviving guardians, and the Crimson Squad to combat a Sin like none before. It's long. But it's just started over. So I'm inviting you all to drop by and enjoy. By which I mean the original one -- you know, Final Fantasy ;3~ I'll be using The Black Hack, which is one of the simplest iterations on the D&D/d20 chassis out there, and it's pretty much a case of "I wonder if I can do this thing". I don't have any further plans for it really, lol. Which version of Final Fantasy? Poll #21043 Final Fantasy ...? Which version of Final Fantasy should I use? pull the other one ...? Raise your hand if you believe this --? Has anyone been picking these up? I had the second one (VII/VIII/IX) arrive today, and it has a few nice bits here and there that it's nice to have an official English take on. And of course pages after pages of character/critter/location designs (my precious), which are a maaaaajor draw for me. By and large I enjoyed the first more than the second, though, which is probably partly because of my game preferences but also because there was more early stage or unused or just development notes stuff in it -- especially for II, which practically has one and a half entire other game plots outlined in there, whoo boy ~! So, yeah, anyone else enjoying these? Or is there something someone might wind checked for, if you don't have them/aren't getting them? Hello! I'm pretty new to Dreamwidth so forgive me if I'm doing this wrong. I just wanted to post a link to a little Prompto fan art I recently posted on my journal. It's completely G rated btw. An Exvius-set trpg? I am so there, yo. 215x textless icons from Final Fantasy XV. Prompto only. 235x textless icons from Final Fantasy: Kingsglaive. Full movie, this is Batch B. 175x textless icons from Final Fantasy: Kingsglaive. Full movie, this is Batch B. Chosen By The Crystals: A Final Fantasy Fanworks Exchange! Description: Chosen By The Crystals is an exchange for Final Fantasy fanworks (fic and art for this round). Nominations for specific entries in the series and characters are open now! All Final Fantasy games, animated series/movies, manga, etc. are eligible! Final Fantasy 12 remaster heading to PS4! Selling Final Fantasy, Tales of Vesperia, Kingdom Hearts, Code Geass, NieR, Odin Sphere, DRAMAtical Murder, and Black Butler doujinshi, games, dvd/bds, and other collectibles here! Listings have just been updated including new items and buying options, so have a look around. Will you seize the day? Apply for a wizard or witch and enter the world of wizards, witches, spells and songs. Original characters are welcome and encouraged. The game started on July 23rd, 2015. Go check out the Wanted Characters or Holds page and get your application in! Game started on July 23rd. APPLY TODAY. kalloway - Very Important Poll! taichara - pull the other one ...? booyaka9000 - Chosen By The Crystals: A Final Fantasy Fanworks Exchange! feicui - Final Fantasy 12 remaster heading to PS4!